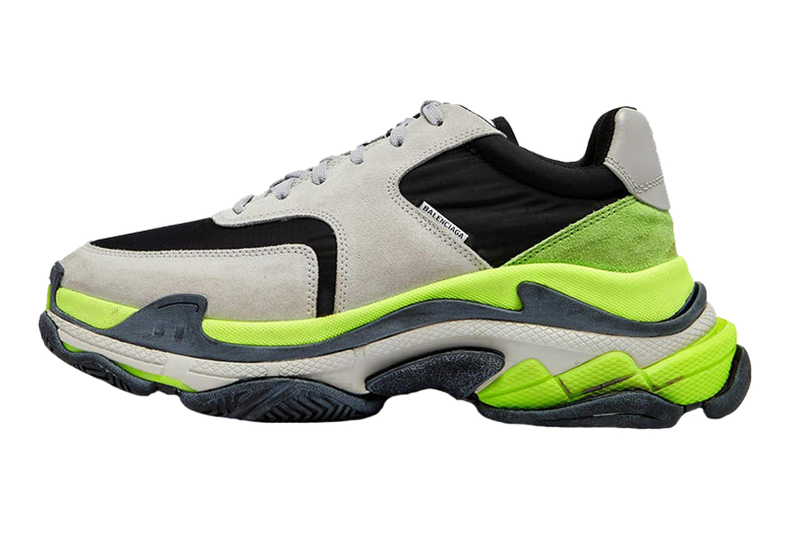 Balenciaga‘s chunky Triple S is back in a new color scheme. The silhouette’s reworked design sees a mix of grey, black and volt throughout. Suede and nylon join forces on the paneled upper as it rests atop the hefty rubber sole unit. Subtle branding completes the iteration with a small Balenciaga tab on the lateral sides and a Triple S stamp on each tongue. This colorway of the Balenciaga Triple S is currently available at select retailers such as MatchesFashion for $842 USD. Balenciaga fans can also check out its new Track Sneaker. Including PLEASURES, Virgil Abloh, No Vacancy Inn, and Travis Scott merch.